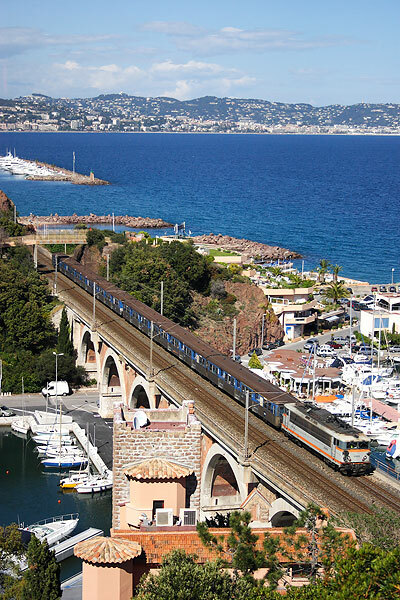 A page dedicated to Raphaël’s photos, a passionate photograph living on the Côte d'Azur and that we thank most warmly. Raphaël shares the beauties of his region with us. 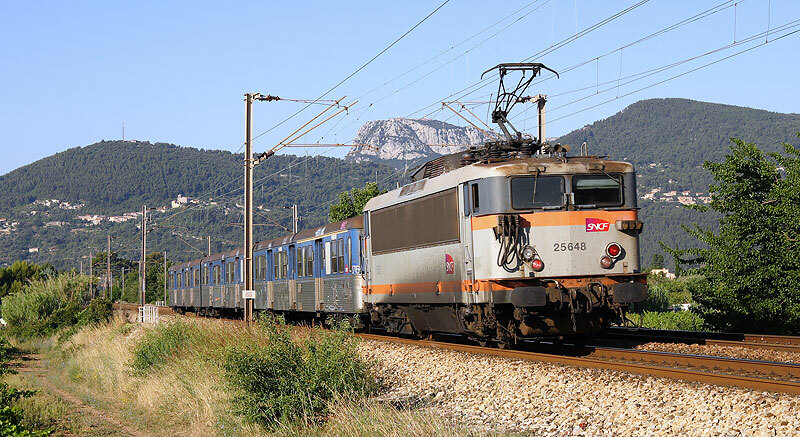 We can see the BB 25500 of Marseille depot in action with various trains in the 2000. 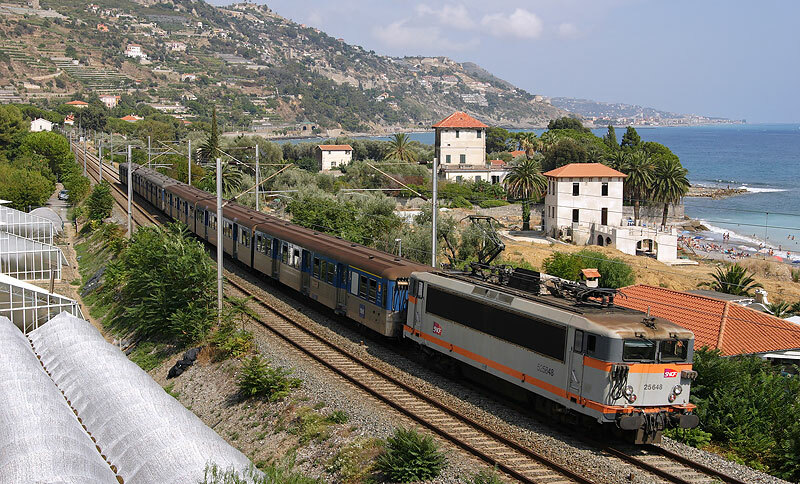 Let’s bet that the BB 25660 preserved by the APCC 6570 will soon be back on the Côte d'Azur with special trains under the AC single phase lines. The BB 25652 at LeTrayas in the Estérel hills, in 2006. 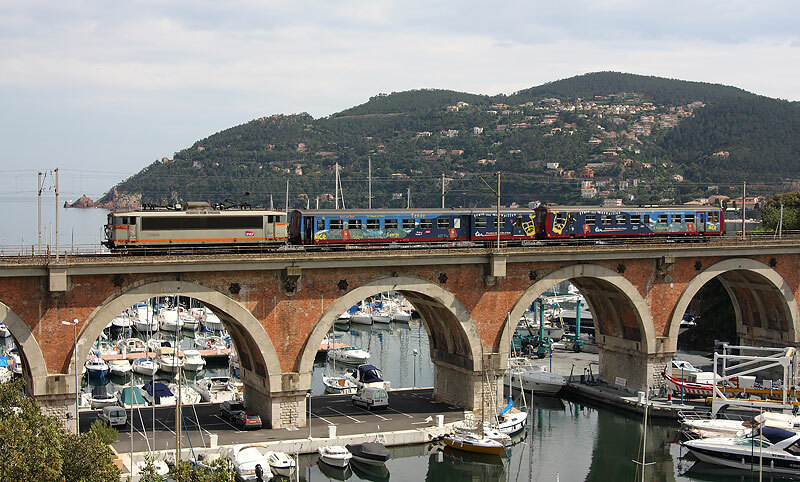 The BB 25645 crosses La Rague viaduct, pulling the « Train of Marvels ». The BB 25678 near Anthéor. Scenery is typical and beautiful. 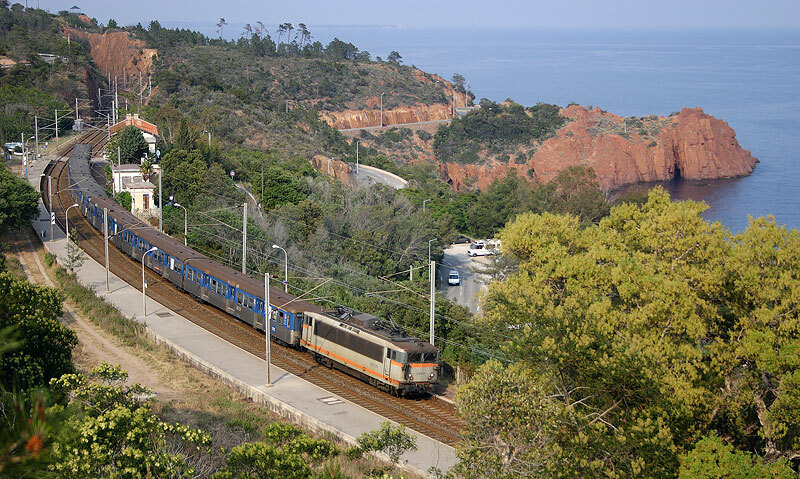 Above : the BB 25648 between Ventimiglia and Menton, on the Italian Riviera. Opposite right : The BB 25646 near LeTrayas. 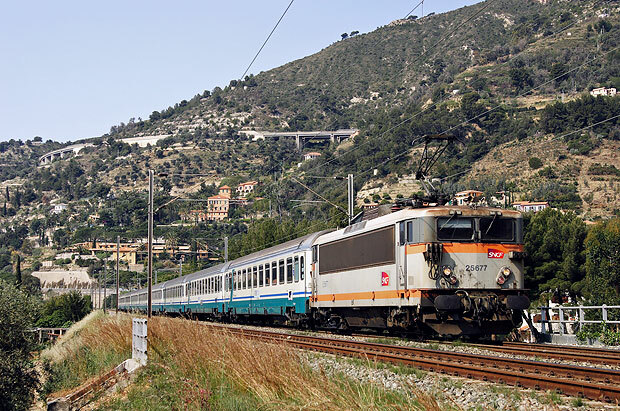 Between Menton and Ventimiglia, the BB 25677 pulling a nice FS (Italian National Railways) train on a Nice – Milan service. 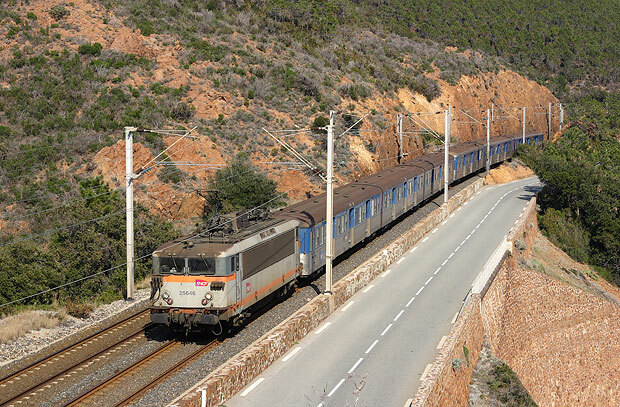 Above : the BB 25678 at Agay, in 2008. The BB 25677 on the famous Anthéor viaduct, much liked by photographs. Site is magnificent! 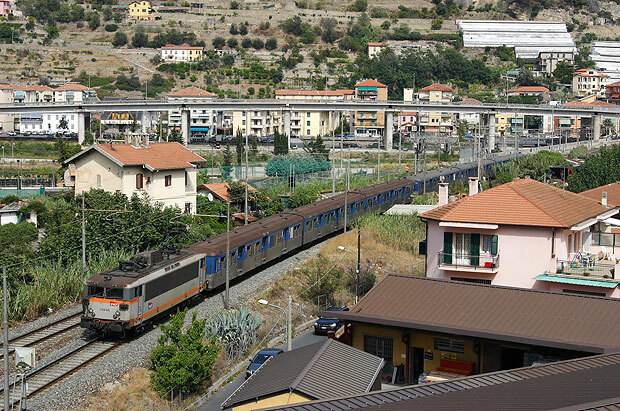 The BB 25646 leaves Ventimiglia. It is here on Italian territory. 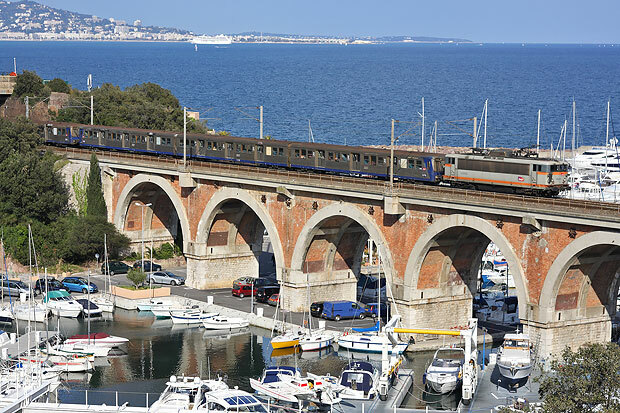 The BB 25659 on La Rague viaduct at Théoule-sur-Mer. Opposite : BB 25665 and 25661 in multiple unit and riding on their own, are seen on their way to pick-up a freight train. 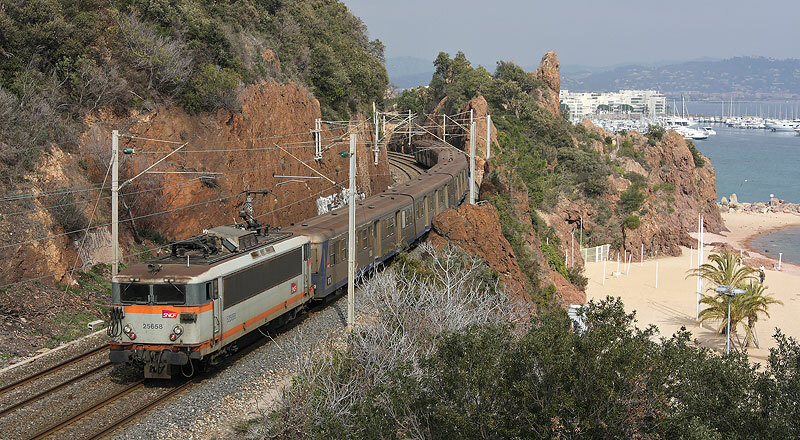 Nowadays, the BB 27000 have replaced them on the few remaining freight trains still running on the Côte d’Azur, most of the time going between Ventimiglia and Miramas. Below : BB 25642 pushing its train near Les Arcs with a nice colored background. Above : BB 25648 near Solliès-Pont. Notice the non-working red light which imposed to the driver to add a red disc on left light (Right on the picture). Above : BB 25658 in Théoule-sur-mer. 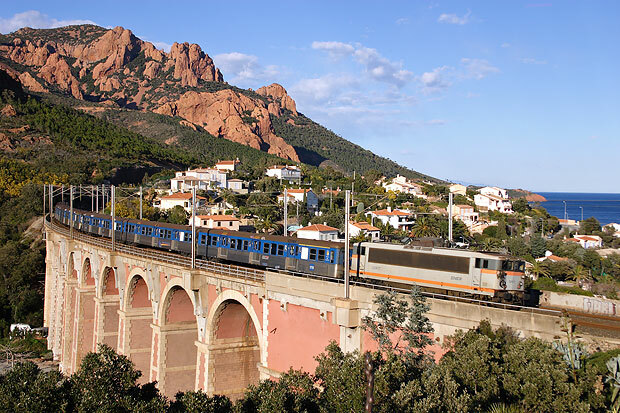 Below, two iconic sites of the Marseille - Ventimiglia line. 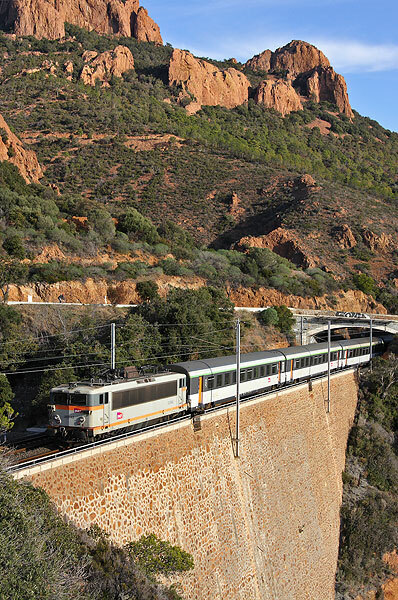 Left, La Rague viaduct in Théoule and right, a view taken in the Estérel near Anthéor-Cap Roux. 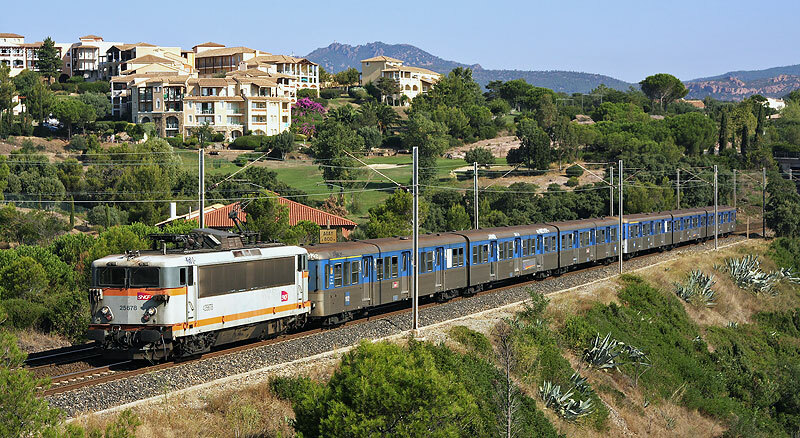 A BB 22200 pulling three non-active BB 25500 at Cuers. 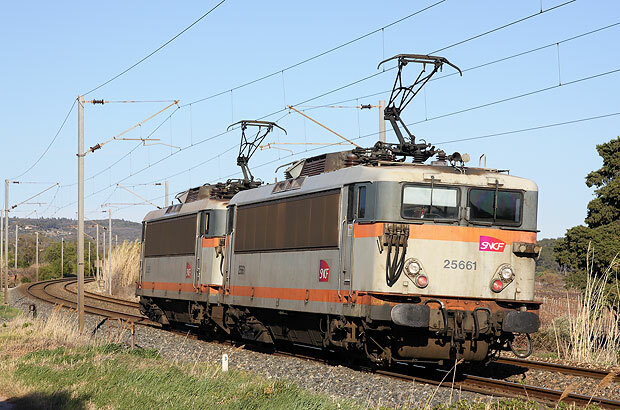 Notice the three different liveries on the BB 25500. 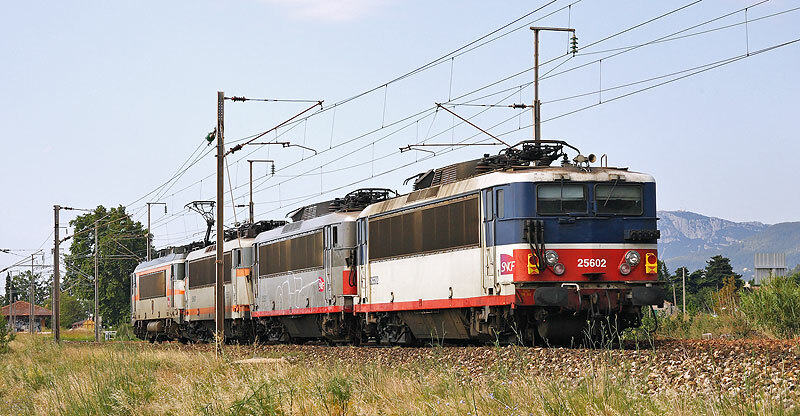 From right to left, Ile de France (Paris region), multiservice and “concrete”. 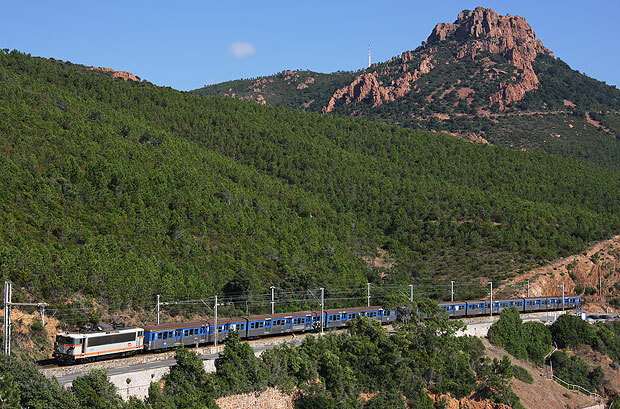 Added train end lights are symbolic: BB 25500 are leaving and disappear from the Côte d'Azur scenery.